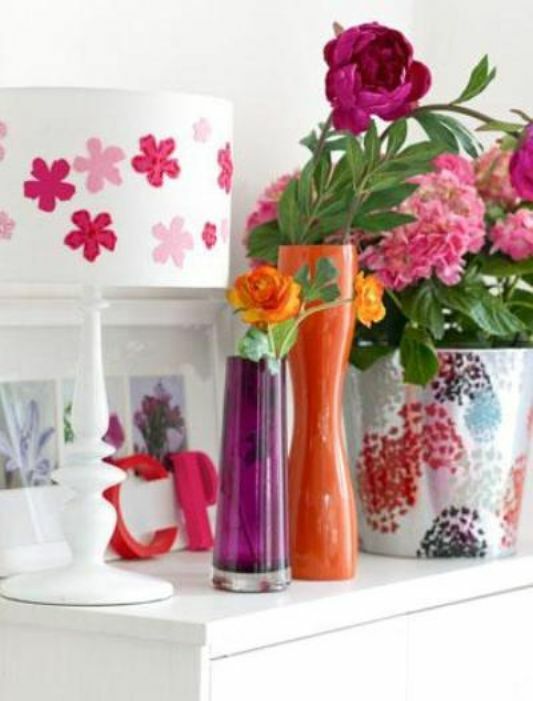 Decorative bird life to the idea of bright colors like pink color may be very rare, but the images below may be able to inspire you in decorating your living space. 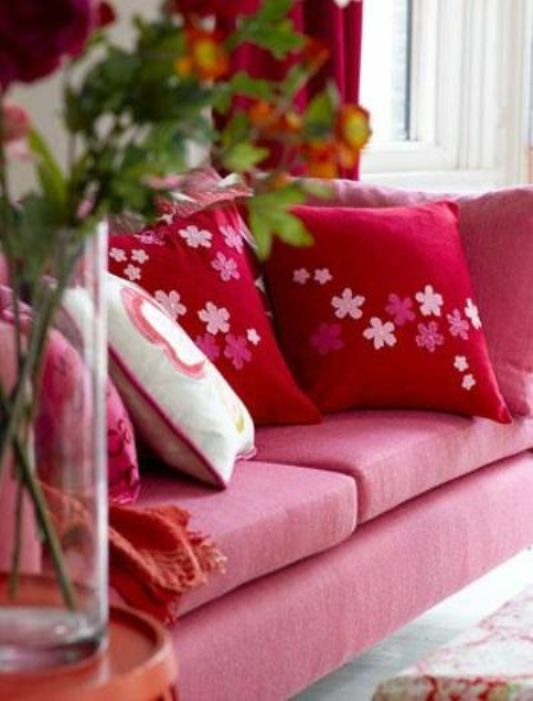 Bright pink and fresh look biased into an interesting blend of colors for living room decor. 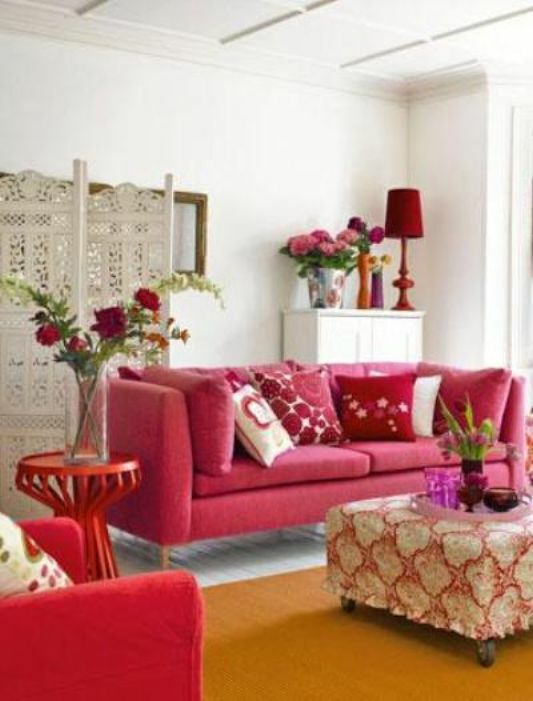 Using a bright pink color as the main idea of decorating living rooms, creating the space fresh, vibrant, glowing with pink tones, red on white background. 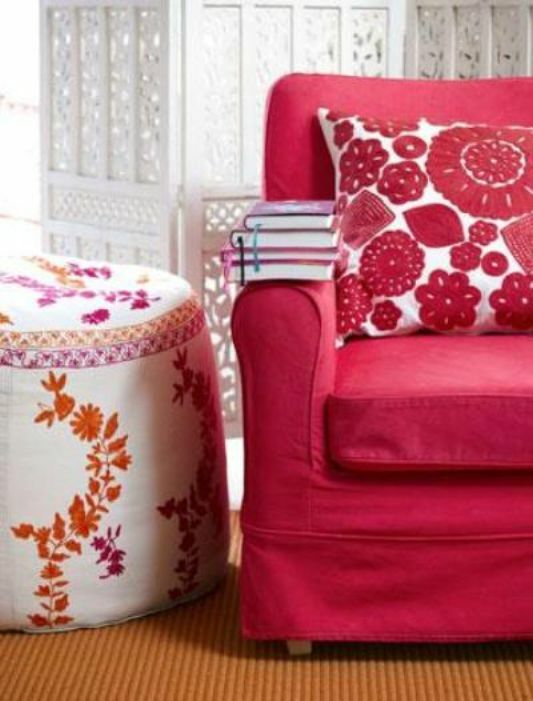 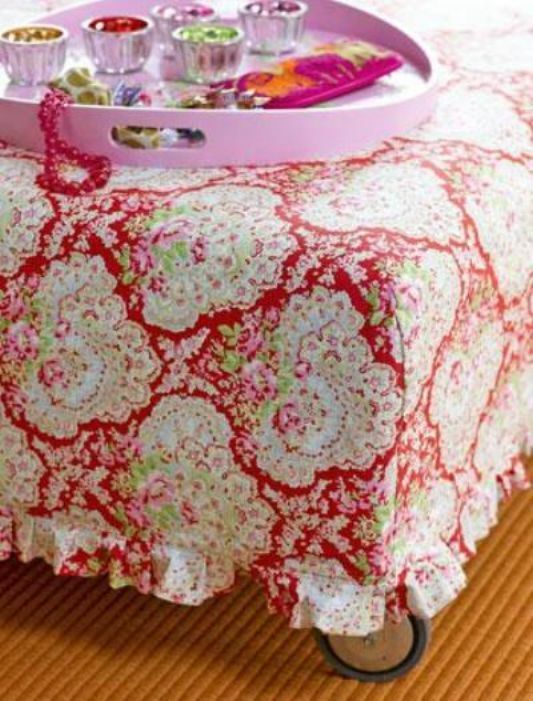 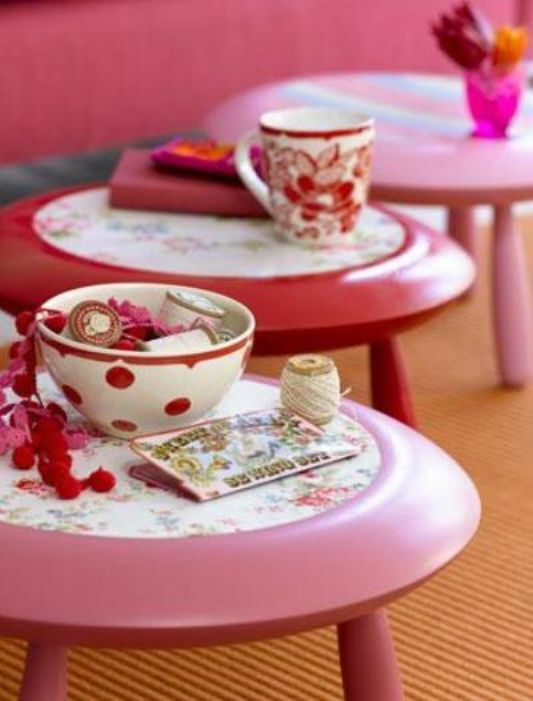 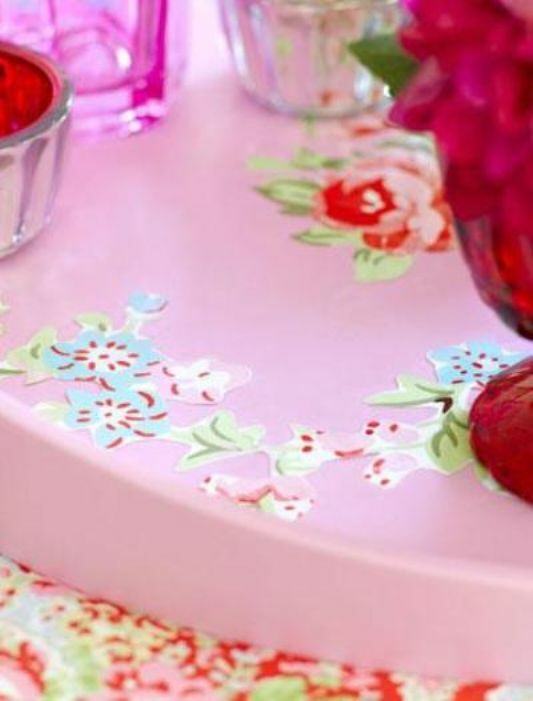 Coupled with the use of colorful furniture, as well as accessories that decorate the living room.